Anabel May Lamberg, 92, of Salida died on August 30, 2018 at Columbine Manor Care Center. She was born on May 21, 1926 to Claude and Helen (Taylor) Stevens at the old Salida Red Cross Hospital in Salida which now exists as the Masonic Temple. Ms. Lamberg was raised in Buena Vista and was one of only four graduates from Buena Vista High School in 1944. She graduated from Western State College in Gunnison in 1946 and then moved to Salida where she worked as a secretary for the Superintendent of Schools. 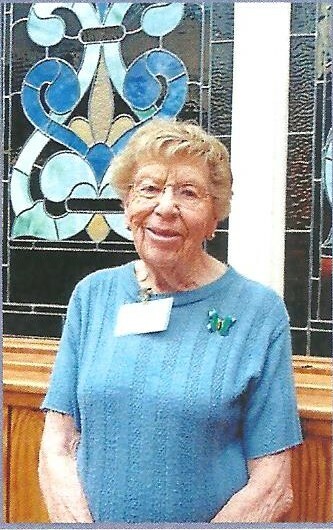 Her pastimes included singing, playing bridge with the Bridge Club, and socializing with a group of lady friends who met every Thursday at Amica’s. She was preceded in death by her parents and one cousin. Survivors include her son, Eric (Kathy) Lamberg; daughter Marta (Larry) Hurst; granddaughter Whitney Hurst; nieces Pam (Paul) and Patti (Mike); cousins Sharon and Sue; sister-in-law Cathy Lamberg; and many special friends around town. Per Anabel’s request, no formal services are to be held. Her family will hold a small, private celebration of her life at a later date. Arrangements were with Lewis and Glenn Funeral Home. Online condolences may be offered to the family at www.lewisandglenn.com.